« The Graffiti Debate: Glorifying art or vandalism? 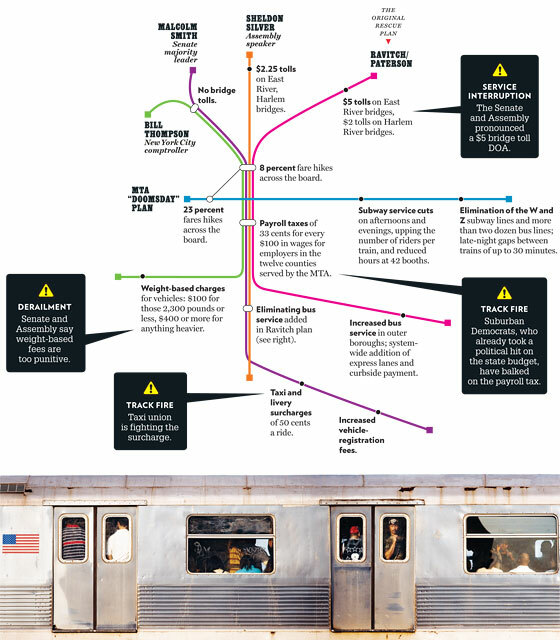 Confused by the state of the MTA funding debate? Not sure who proposed what or which faction support what plan? You’re not alone, and New York Magazine wants to enlighten you.